Airlines that fly to the Milano-Bergamo airport are RYAN AIR, LUFTANSA, ALITALIA, WIZZ, PEGASUS, MERIDIANA, NEOS, ALBA STAR, BLUE AIR, ANA. Note: You must validate your train ticket, if you don’t you risk a fine. Validate tickets with the time stamp machine at the train track or ask a train official. Take the airport bus to the Bergamo train station and take a train to Lecco station. There is a blue public bus D10 which leaves from the Lecco train station, it’s a 50 minute ride. Bus times aren’t very frequent, you will have to time your trip accordingly. Ticket costs €2.80 one way. Tickets are sold on the bus or in the station. The bus stops in front of the ferry port in Bellagio. You can take a ferry from Lecco to Bellagio, it’s a 1 hour 25 minute ride. The ferry port is not near the station. It’s a 20 miunte walk through the historic center and along the lake in Lecco. If you have luggage, you can take a taxi to the ferry port which will cost about €12. The ferry port is called “L’imbarcadero”. There you can buy a ticket and there is a nice cafe for lunch. Tickets are sold at a ticket office at the port. The ferry stops at the ferry port in Bellagio. 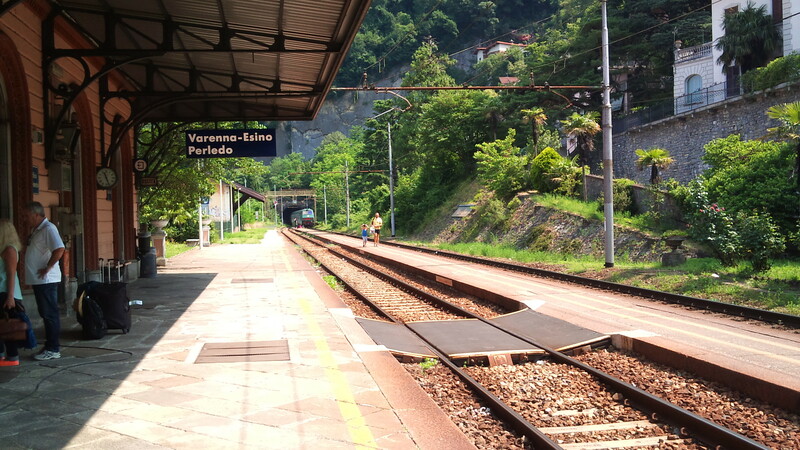 You can take a train to Lecco and then a local train to Varenna. From Varenna train station walk down the hill from the train station to main plaza and take the ferry boat to Bellagio. Ferry tickets are for sale at the ferry port. Keep in mind prices vary according to day/night/holidays number of passengers. Ask your taxi driver for a price.